Originally this post was going to be called “Ways to get your kids excited about your Disney trip,” which is sort of funny, if you think about it. 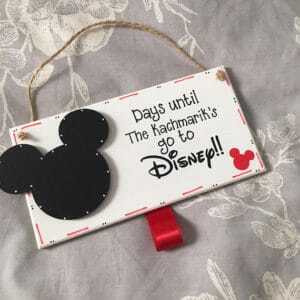 As if most kids are sitting around lethargically complaining that they have to go to Disney World, and it’s up to you as a parent to beg and plead and cajole them into looking forward to it. So no, you probably don’t need to “do anything” to get anyone excited if you have a Disney trip scheduled. But why not make the weeks or months leading up to it as fun as you can? I mean, seriously … for as much as a family Disney trip costs, you might as well get the most bang for your buck and “start the magic” as early as possible. 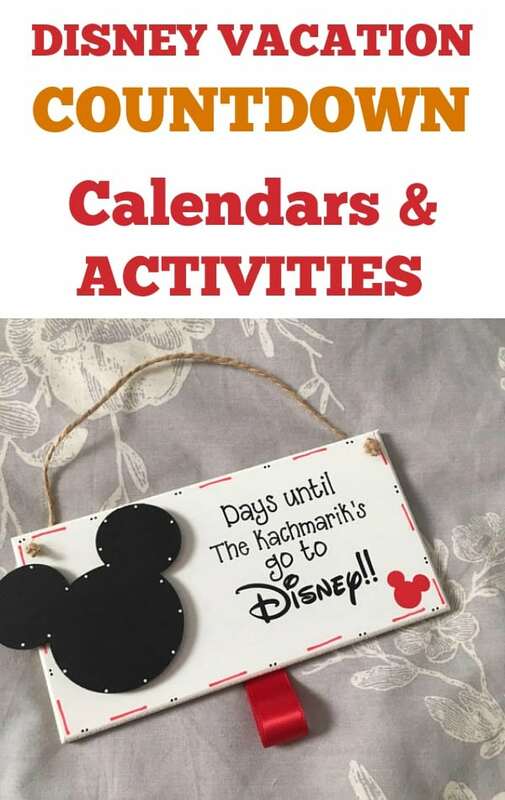 Here are some great countdown calendars, as well as activities that you can do together as a family, to enjoy your waiting period. There are two nice things about chains. One, they’re easy to make. Two, seeing the chain physically get smaller over the days is particularly satisfying to me, more so than just crossing off numbers on a calendar. 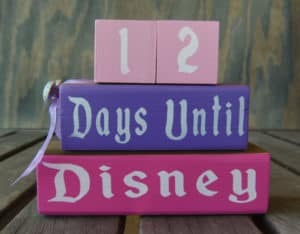 If you want a REALLY cute Disney countdown chain, check out this template you can get from Etsy for only $2! These are even more simple; almost ridiculously so, if you want them to be. 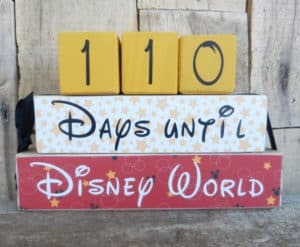 All you need is a simple hanging dry-erase board or hanging chalkboard sign, plus something to write on it with,Ggive it a title, draw some mouse ears on it, and write the number of days until your trip. Then every morning erase the number and write the new one. If you want something more elaborate, you can always turn to Etsy, either for making a purchase or just to get some inspiration to create your own sign. 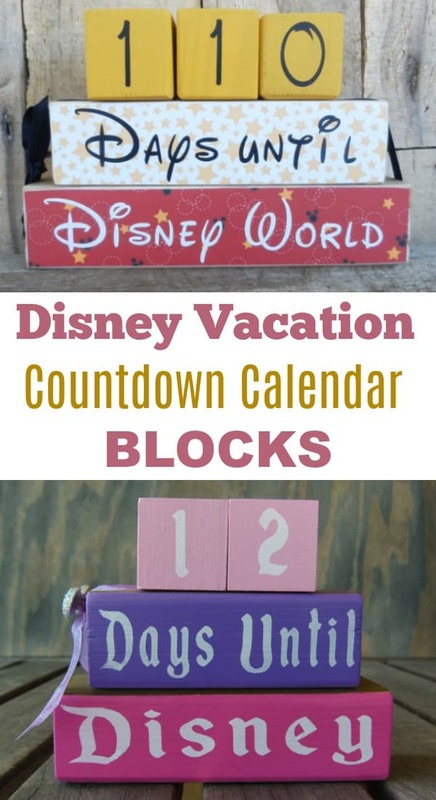 Countdown block sets are cool because they can potentially be used for years, if not decades, and they make nice home decor. 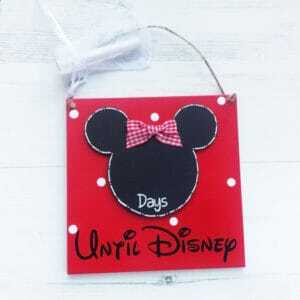 They’re also great for people who like to start their countdowns as early as possible. I don’t think I would want to make a chain with 350 links, but with these blocks? A 350-day countdown is no problem! 1.1.1 Get a FREE Disney rides checklist! This game involved getting in the “car” (actually our living room couch), arriving at “Disney World” and running to and hugging various characters, and then riding some of the “rides.” (The slide on our backyard swing set was Splash Mountain, but I can’t remember any other specifics. Another fun game is Disney 20 Questions. Basically, someone thinks of a Disney character and the other people ask yes or no questions until they guess who it is. (We never actually count the questions when we play this.) This is a nice game because you can play during Annoying Times in Life like while you’re sitting in the carpool lane or waiting in line at the post office. This board game is one that we own and have enjoyed playing, whether we’re counting down to a Disney vacation or not. I would agree somewhat with this negative review, but we solved that problem by re-wording one type of question and completely skipping a second type of question. You can see a quick video of how this game is played here. It has two figures, Mickey Mouse and a kid wearing Mickey ears. Together they can ride the train, the tea cups, It’s a Small World, and Dumbo. There’s even a button you can push for music and a fireworks show. You can also buy additional figurines of other Disney characters. 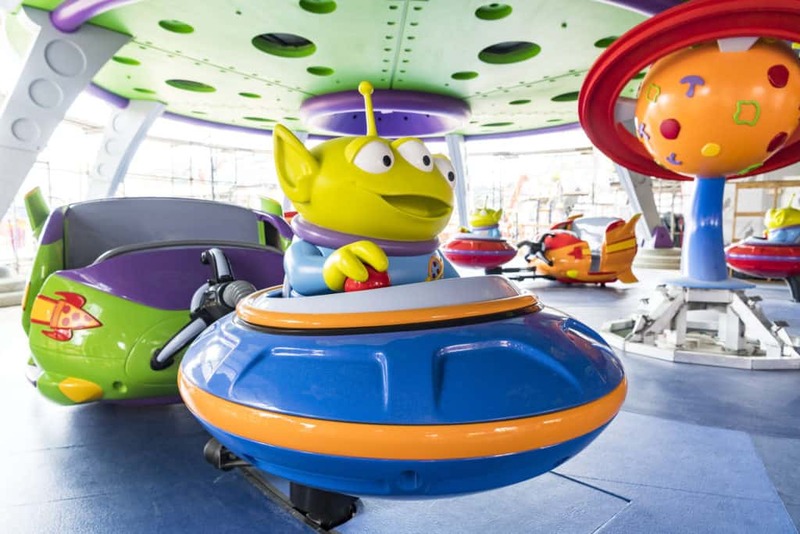 Watch this video to see the Day at Disney Playset in action! 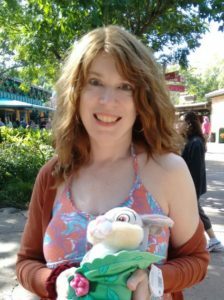 I’ve always been a book nerd and homeschooled my kids for a decade, so it’s not surprising that I would want to turn a trip to Disney World into a reading opportunity and an educational experience. Biographies are always fascinating and inspiring to me, so I really enjoyed reading about Walt Disney with my family. Interestingly (and sadly), a schoolteacher called him “the second stupidest kid in the class,” and his father was extremely reluctant to buy Walt even the most basic art supplies. And of course, if you saw the movie Saving Mr. Banks, you already know about how Walt had to wake up at 3:30am to deliver newspapers in the snow when he was a boy. Click here to see a list of Walt Disney biographies for kids. 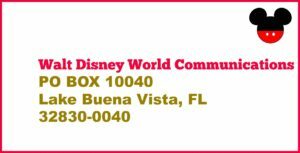 A sneaky way to get children to practice their writing skills is to have them write to one or more of their favorite Disney characters at the address below. They will get an autographed postcard mailed to them within 4-6 weeks. One activity I wish I had thought to do when the kids were younger was learn a little about the World Showcase countries. We had lunch at Biergarten, and it would have been neat if we had learned a little about German costumes, music, and food beforehand. Ah well, you can’t do everything. This is a pretty obvious pre-Disney trip activity, and an easy one. We used to have Friday movie night where we would watch a movie and make pizza, and it was a nice ritual. There are 730 films that are considered “Disney movies,” so if you are the type of person who likes to be thorough, you could be busy for a very long time. If your kids are really little and you’re afraid that a full-blown movie might be too scary for them (which was an issue in our house), then check out the Disney Singalong Songs series. They have the clips of songs from various Disney movies, along with the words at the bottom of the screen. My girls loved them and watched them again and again. If you haven’t already, you can easily request the FREE Disney World planning videos by clicking the image below. Yes, they’re a little, uh … promotional, but it’s a good place to start, and they’re completely free, so why not? 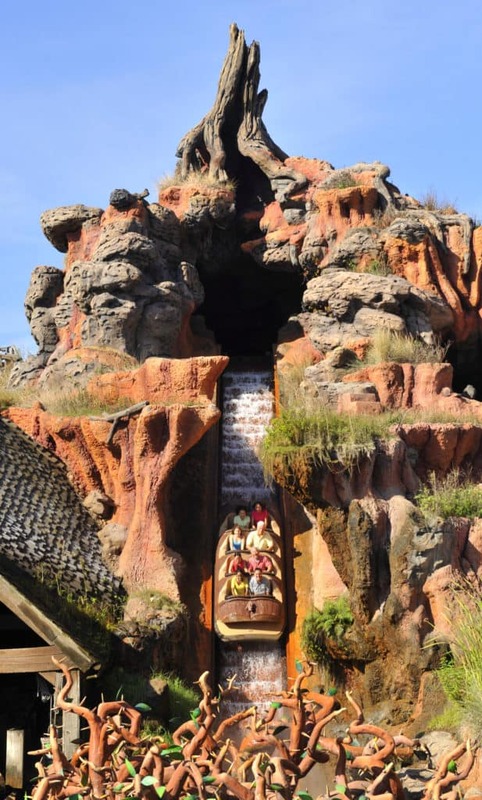 I know a lot of people like to get on YouTube and just watch complete footage of specific rides, but as someone who didn’t know any of my kids’ genders until they arrived, I personally don’t like to have that much information beforehand. A daily walk or bike ride in the name of “getting ready for Disney” isn’t a bad idea. You get some family togetherness and some exercise, and hopefully you’ll end up with more energy for your days at the parks. Hopefully there’s plenty here for you to have fun with as you count down the days until arrive at Disney!